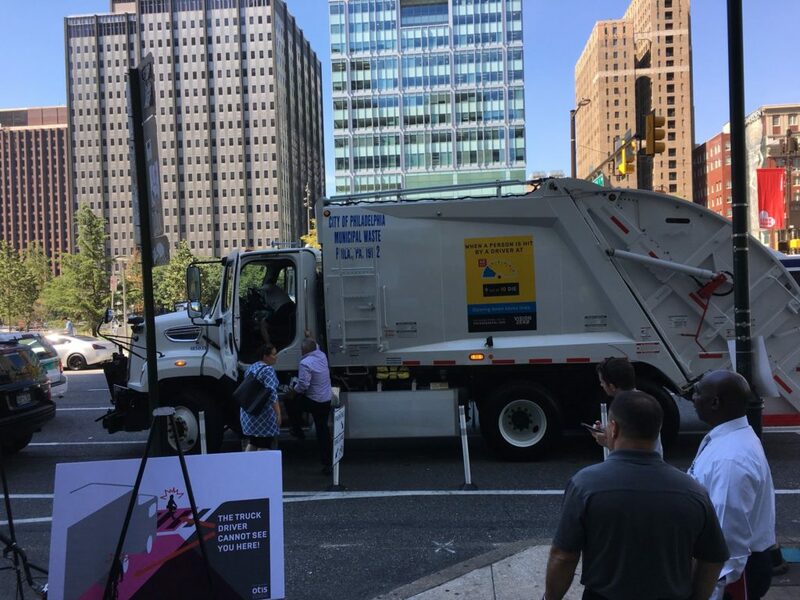 Members of the Philadelphia Office of Transportation and Utilities were out on JFK Boulevard on Tuesday, showing off new garbage trucks that have added Vision Zero protections, including night vision cameras on each side of the truck, side guards, and side mirrors. 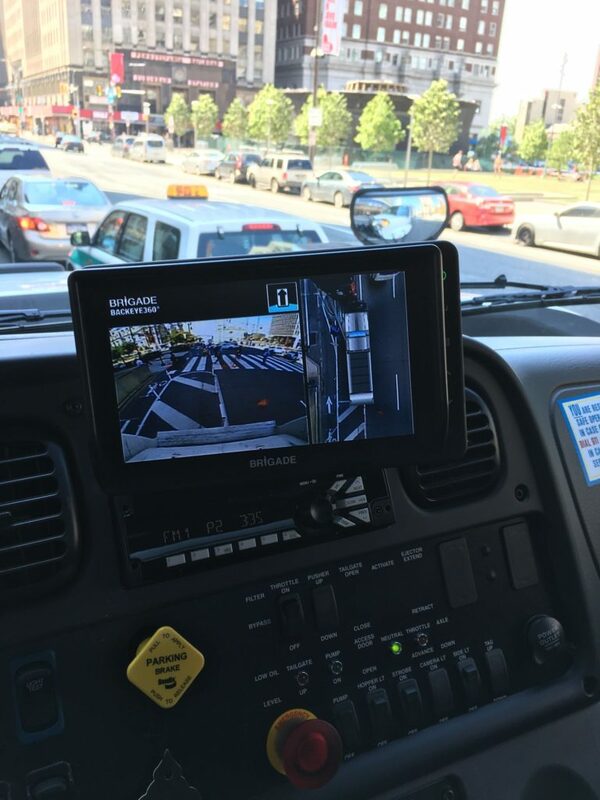 The cameras allow the driver of the truck 360 degrees of vision, making it easier to see cyclists and pedestrians in potential blind spots. We had called upon the City to add side guards to their trucks, and require all trucks to install them, as part of a Vision Zero policy. We are happy to see the city follow suit. But, as many already know, two cyclists have been killed over the last year by private trucks, and both may have survived if the trucks had been equipped with these safety precautions. 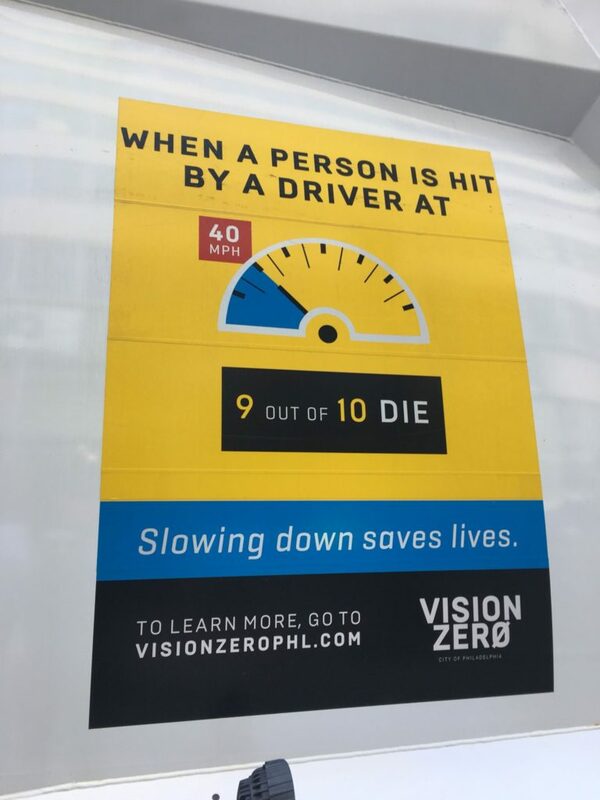 That’s why we will continue pushing for all trucks – public and private – operating in Philadelphia to require side guards and additional safety features so cyclists and pedestrians are safer from these vehicles. We understand that as long as motor vehicles exist, the possibility for injury also exists. But no one should die because of a driver error. Anyway! There’s still time to check it out if you’re reading this blog on Tuesday afternoon. The Office of Transportation and Infrastructure Systems will be out at 15th and JFK until 5pm.